Moving to a new neighborhood means having to make new friends-which makes klutzy Noah more than a little nervous. And even though Mo, the spunky but nosy girl who lives next door, introduces him to her group of friends, he still has to find a way to win them over. Noah can't juggle like Mo, whistle like Peter, or read while standing on his head like Jessica. But can showing off a bizarre housewarming present do the trick? What must he do to impress them before he can call them friends? This likeable new character, with his familiar dilemma, is sure to become a favorite with Johanna Hurwitz's legions of young fans. 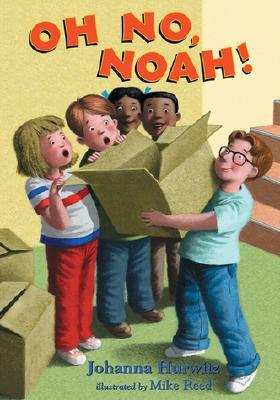 Johanna Hurwitz has written over 50 popular books for young readers, including Oh No, Noah!, Class Clown, Rip-Roaring Russell, and the other Park Pals adventures, PeeWee's Tale and Lexi's Tale. She lives in Great Neck, New York. Mike Reed is the illustrator of several books for children, including Catching the Wild Waiyuuzee and Christopher Davis's Best Year Yet. Mr. Reed lives in Minneapolis, Minnesota.